VANCOUVER -- A foreign buyers tax will do little to cool the British Columbia housing markets where it's been expanded, as international purchasers make up only a small percentage of sales and lack of supply is the bigger problem, real estate groups say. Metro Vancouver has had a 15 per cent tax on foreign home purchasers since 2016. The province announced Tuesday it would hike the levy to 20 per cent and impose it in the Victoria and Nanaimo areas, as well as the Fraser Valley and central Okanagan. The changes took effect Wednesday, catching some industry groups off guard. "I don't know anybody who was thinking we needed this tax," said Tanis Read, president of the Okanagan Mainline Real Estate Board. "I'm very troubled by the lack of consultation." Foreign transactions made up 1.8 per cent of purchases in the central Okanagan, 1.4 per cent in the Fraser Valley, 4.3 per cent in the Victoria area and 4.4 per cent in the Nanaimo area, provincial data compiled by the B.C. Real Estate Association shows. Read said prices in the Okanagan have steadily risen due to population growth and declining inventory, not foreign buyers. People from Vancouver are moving to the region to escape high housing costs and enjoy a more relaxed lifestyle, she added. She said the tax might have a "modest" impact but she's concerned about ripple effects. She has European clients who are planning to move to the Okanagan and the tax has reduced their budget to $600,000 from $800,000, she said. "That puts pressure on lower-priced homes," she said. "There are so many unintended consequences, and if they had actually consulted with industry as a trusted partner, instead of as an adversary, then we would have had more concrete solutions." Don McClintock, president of the Vancouver Island Real Estate Board, said he'd heard talk of the tax being extended to buyers in Victoria but he was surprised to see the Nanaimo Regional District included. There's a "light sprinkling" of foreign buyers in the area his board covers, which includes Nanaimo, he said. "It's not a major part of our market by any means," he said. "So I don't think it'll have any negative effect on our sales or even any significant effect on control of prices." McClintock said a shortage of listings has gradually driven prices up in the area, with a 15 to 19 per cent spike last year. Provincial and municipal governments should focus on increasing supply, rather than controlling who the buyers are, he said. The government has committed $6 billion to deliver 114,000 affordable homes over the next decade, and has created a new office within the government agency BC Housing to partner with non-profits and developers on housing projects. Finance Minister Carole James said during her budget speech on Tuesday that foreign buyers should contribute more for the high quality of life they enjoy in B.C. 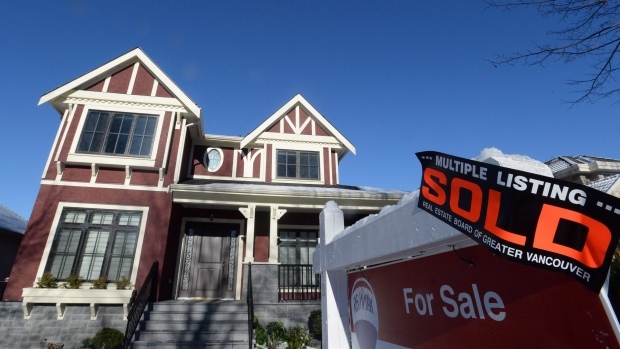 "Increasing the tax should help to deter those speculating in B.C. 's housing market," she said. "Extending it to other communities ensures that we don't simply push the speculation into neighbouring markets." The previous Liberal government also gave little warning before it imposed the tax in Metro Vancouver in August 2016. Sales had already been declining that year, and the slide continued for a few months after the tax before rebounding. The benchmark price of a detached home in the Vancouver area in July 2016 was $1.58 million. By January 2017, the trough of the market, it was $1.48 million. But it steadily climbed back and now it sits at $1.6 million. Cameron Muir, chief economist of the B.C. Real Estate Association, said the temporary cooling effect was magnified by local buyers who held back to see how the tax would impact prices. It's fine if the government wants to collect more tax from foreign buyers, but it won't make homes more affordable, he said. "Foreign buyers are just such a small part of the marketplace that there's really no difference on the affordability side."